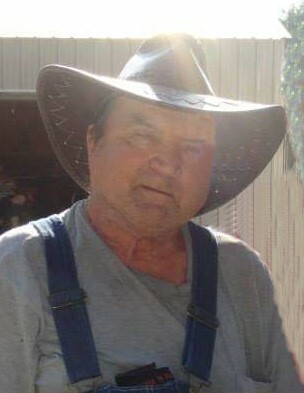 Charles Weier, age 67, of Sioux Rapids, Iowa died November 12, 2018 in Sioux Falls, South Dakota. Funeral services will take place Monday, November 19, 2018 at 10:30 a.m. at the Sliefert Funeral Home in Sioux Rapids. Burial will follow in the Lone Tree Cemetery with full military rites. Visitation will take place Sunday, November 18, 2018 from 3-5:00 p.m. at the Sliefert Funeral Home in Sioux Rapids. The Sliefert Funeral Home in Sioux Rapids is in charge of the arrangements. Charles Weier, the son of Lloy and Jennie (Kruse) Weier, was born on July 20, 1951 in Cherokee, Iowa. Charlie was raised in Linn Grove and Sioux Rapids. In his youth, he attended Sioux Valley and Sioux Rapids schools. Charlie operated a small engine repair shop from his home. In 1971, Charlie enlisted in the Army where he was stationed in Germany during the Vietnam War. Charlie was active in his community through being an American Legion member. In his free time, he enjoyed making model cars, fishing, attending auctions, and watching Western shows/movies. Above all, Charlie loved to spend time with his family, especially his grandchildren. He also liked to chit chat with his buddies and check in on his children. He will be deeply missed by all who knew and loved him. Those left to cherish his memory include his children: Lori (Mike) Strand of Sioux Rapids; Elizabeth (Nick) Hesselman of Storm Lake; Michelle (Justin) Mann of Storm Lake; Charles (Josie) Weier of Sioux Rapids; brothers, Marlin (Laura) Weier of Linn Grove and Keith Weier of Sioux Rapids; sisters, Mary (John) Smith of Linn Grove and Cheryl Coyle of Schleswig; grandchildren: Kayla, Cody, Kimberlee; Alexander, Caitlyn, Allyson, Emma; Victoria, Richard; Grace, Hannah; and one great-grandchild. Charlie was preceded in death by his parents; siblings: Frank Weier, Robert Weier, Dean Weier, Carol Konrady, Alan Weier, and Wayne Weier; and brother-in-law, Pete Coyle.